A1 Clearances are a house clearance company situated in Cheshire who provide a professional and friendly service throughout North Wales, Cheshire, Wirral and the North West. We provide the full quota of our services throughout Manchester and its local vicinities. In our 20 years of existence we have built up a solid and flourishing reputation with past customers, you can read some of their comments here. At A1 Clearances our aim is to provide a fully professional and discrete domestic clearance service. Call us today for a brief chat about our range of services or to simply find out in which way we can help you. If you have any questions about our services contact us today for a friendly service, alternatively you can visit our frequently asked questions section. 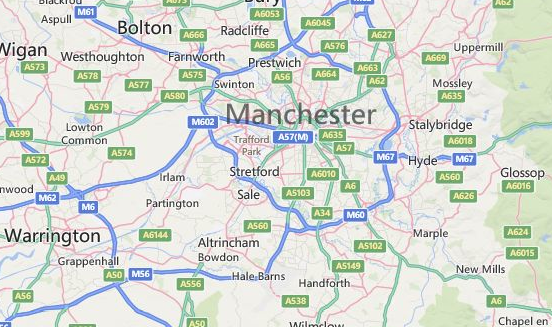 The areas we cover in Manchester include Altrincham, Ashton-under-Lyne, Bolton, Bowden, Bramhall, Burnage, Bury, Cheadle Hulme, Droylsden, Eccles, Hale, Hyde, Irlam, Leigh, Middleton, Oldham, Prestwich, Rochdale, Sale, Stockport, Stretford, Urmston, Wigan, and Wythenshaw. We will provide our services in many more Manchester areas, simply contact us to enquire.